There is nothing complicated about the main purpose of this interesting paper. A definitive paper concentrates on a certain word or term and simply defines what it means. You should analyze the chosen or assigned word and give its clear description in narrow and extended variants. For example, you may be assigned to give a definitional meaning of such words as a book, notebook, car, and something of the kind. However, you may deal with more complex terms, such as love, honesty, dignity, courage, etc. Accordingly, you will have to conduct a small research to find out all possible meanings and descriptions. In this case, the research will be more subjective because it depends on your personal attitude towards the term. Some folks fail this task and look for the best essay writing service to help them. Nonetheless, we believe that everything can be fulfilled on your own. We will teach you how to write this assignment. Every piece of writing is supposed to have a plan. It provides a clearer view of what is coming next. Outline your assignment and you will never get confused with your further actions. As you can see, this outline has the same points as any other essays. Many people mistakenly think that a definition essay should be very brief and provide only two ideas – official definition and the concept of the researcher. This is not so! Firstly, implement the chosen word. Research it from different angles and provide data about its origin, main uses (perhaps it has several) and explain which definition you choose. This paper likewise contains a thesis statement. It explains why you have chosen this term and what importance it has. Afterward, you are to develop the main claim and summarize the whole project. This scheme contains all the parts you need to craft an appropriate assignment. Hereafter we will review it in bigger details. It’s utterly important to have a good start. However, it’s needed to fulfill a few preliminary steps. Firstly, decide on your topic. Choose the term and research it. Make sure you can handle it properly. Stick to a strong argument. Afterward, gather information. Use your analytical skill to identify the most relevant data, which can help to clearly introduce your thesis. Now you are ready to begin the introductory paragraph. It should provide an initial and official definition from a dictionary. Afterward, you should give a secondary definition, which is a mix of the official meaning and your own explanation. This will be your thesis statement. Tell what does it mean to you and why you have chosen that particular term. One of the keys to the successful accomplishment of this assignment is its plot. You are to write three main paragraphs. What should they contain and disclose? Explanation from a dictionary and its main use. The first section of your plot gives the full history and origin of the studied term/word. You should use only official information, which is objective. No blogs and thoughts of simple Internet users. The next paragraph contains an official formulation of the definition. Use any trustworthy dictionary. The options are multiple. Finally, provide your own concept. Be argumentative. This is a personal evaluation of the concrete term, like love, friendship, loyalty, etc. Such terms are complex to understand because they are abstract and every person has different attitudes towards them. Therefore, you ought to be really convincing. Use support to strengthen and clarify your explanation. It is advised to use some good examples to support your personal attitude. For example, if you describe the word “courage”, give at least one real situation out of your life when courage helped you to face and overcome some fears or impediments. The same goes for other words and terms. This process is complex and you should take some time to come to clear and effective explanations. Don’t try to complete everything in one set. Write some drafts, analyze the selected concept in different ways, and come up with the most effective sample, which fully illustrates your main idea. There is one final step to take to reach the best possible result. You are to compose a conclusion. It gives a short review of the accomplished work. State your thesis once again, explain the reasons why you have decided to cover this particular word/term and draw the defining line. Explain to your readers the importance of this concept to you, as well as to the others. It goes beyond all doubts that you will not be able to avoid the direct quote of the term you are to explain. Accordingly, you ought to know the assigned writing style and cite in strict accordance with the official recommendations. Commonly, academic supervisors and professors assign MLA format. Be attentive to the details. Some of them may seem to be of lesser importance. Nonetheless, they also play an important role in your final grade. You will definitely make your quote from a definitional dictionary. Begin the quotation with marks with a period. Under the condition, your term has several definitions, type “Entry” (without marks) and the number of the chosen meaning. 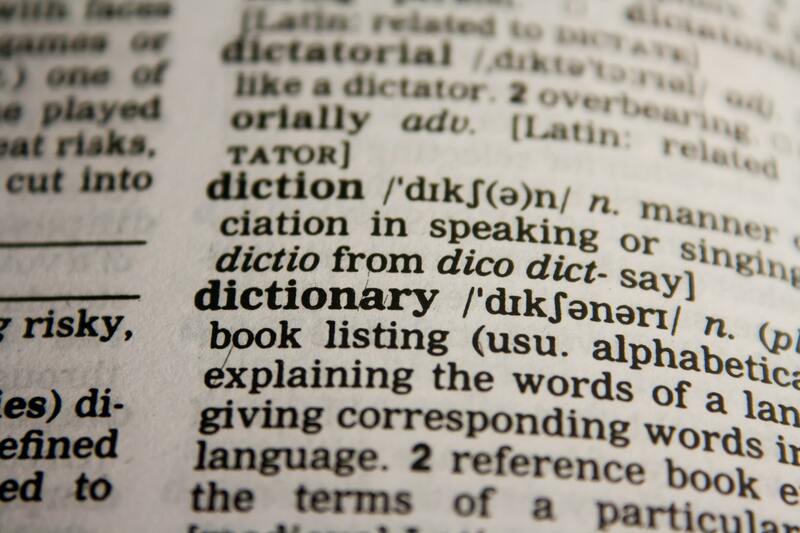 The name of dictionary comes italicized and followed by a period. In the event, you cite from a book, provide the date and the medium of publication.